Everyone would agree that one of our biggest dreams is to own a house and have a home. Having a home doesn’t necessarily mean by having a big house, the most important thing is it’s good location, security, the privacy, and maintaining a good interior to have a good atmosphere. 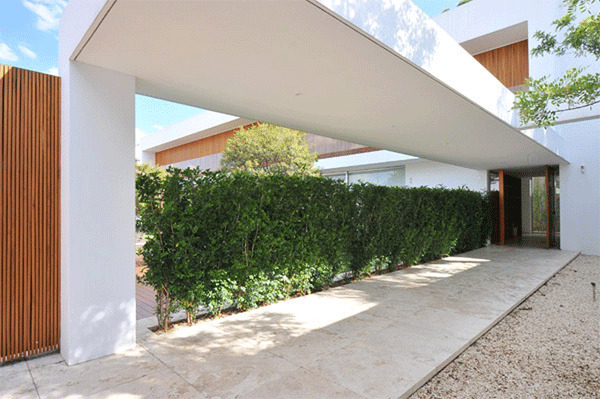 In designing our houses, nowadays, most of us are inspired with contemporary designs, innovative and forward looking. 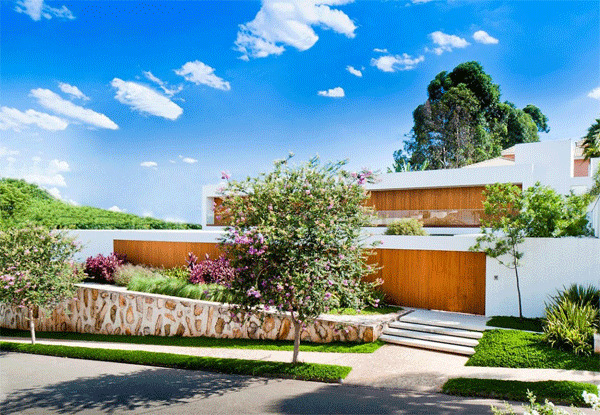 Take a look on today’s additional collection of concepts for your houses, a contemporary design by Marcelo Sodre. 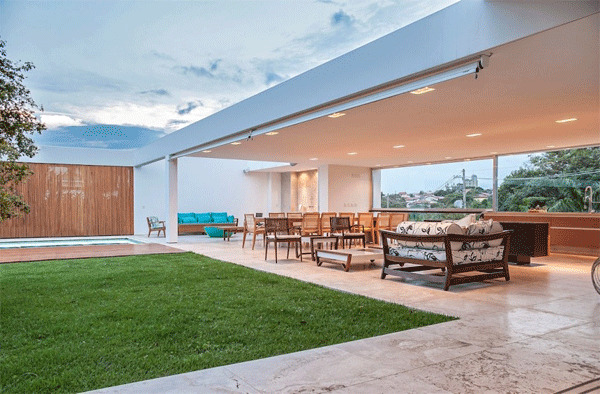 This house is located at Sao Paulo, Brazil, having a contemporary style with a very spacious and warm interior. It is situated in a corner whole lot, steep slope, attached to a closed blending wall and facing to a green environmental area. The landscape at first directed a far more evident arrangement, resulting in an array of fragmented blocks, following the form of the ground in straight plateau. Each floor level is organized respectively as to service, social and secluded areas. The extents of the place were utilized well and provided with wide and functional spaces to promote interactions of the residents. 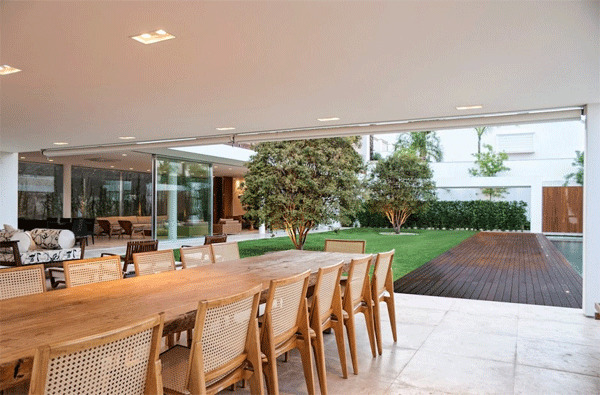 Let’s dig into the deeper details of this house as we show you its interior design. The landscape outlines the location of the house with a simplest design of the slatted wood and arrangement of the blocks. 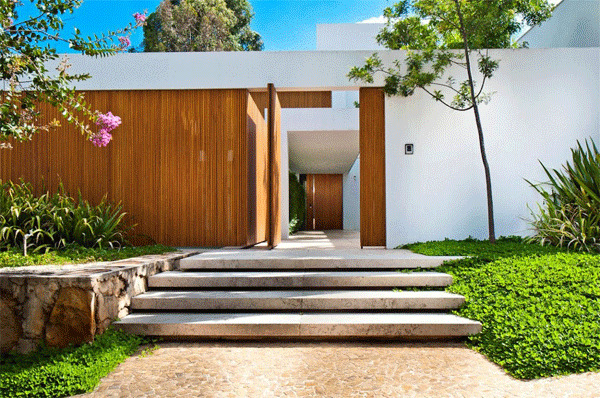 Through this you can see the full view of the house with a sense of earnestness of nature. This main gate is made of slatted wood that invites everyone to have a tour and know what’s behind these doors. The hallway is next to the main gate which is the way to the main door ornamented with plants to provide a spacious tread. 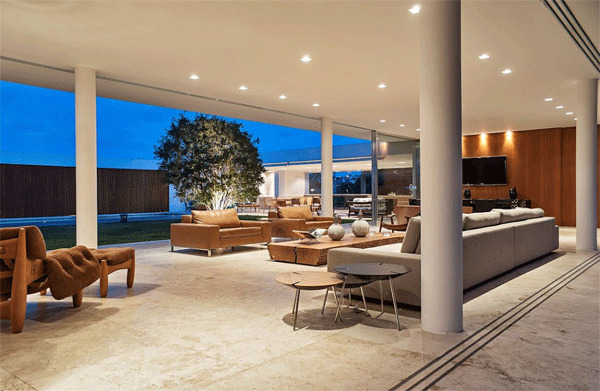 The interior is commodious for socializing activities provided with copious sets of sofa and dining tables. An area for sumptuous mealtimes and gatherings with this long rectangular wooden table. Surely you’ll have a plunge into this large rectangular recreational pool added with plants to maintain an eco-friendly view. The discreetness and exquisiteness of the mezzanine was heightened by the lucid lights of the LED. 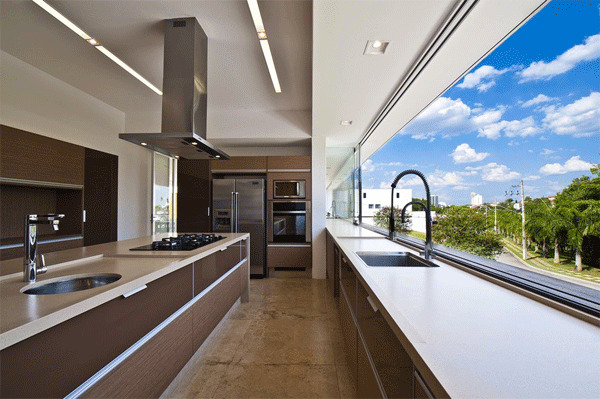 The kitchen is delineated with brown and white colors to expose its plainness and coolness with a glassed window to have a wonderful view outside. 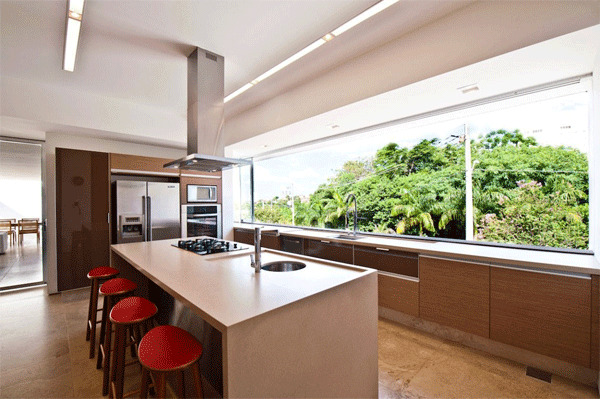 To utilize the space during cooking times the kitchen was assembled with built-in cabinets to have a larger area to move in. 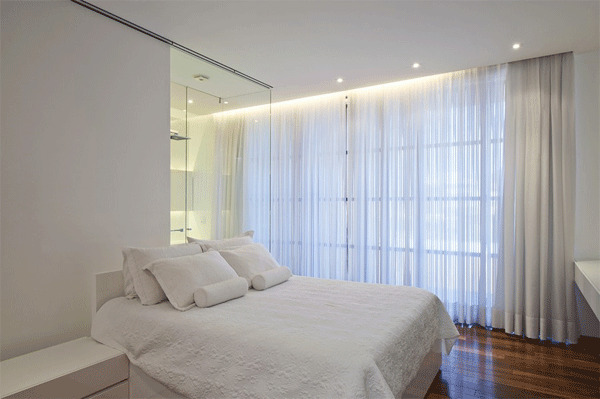 This bedroom is very inviting for rest with its pureness covered with white paints, curtains and linens. 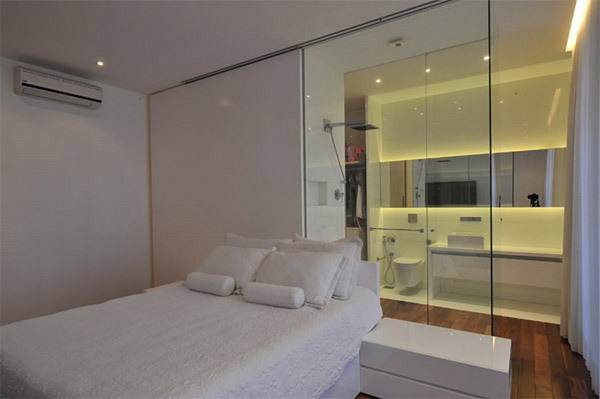 The bathroom is just behind the bed with visible and elegant glassed doors. To avoid slippery effect on bathroom floors especially when wet, these wooden floors would be a great option. The master bedroom is designed like an elegant and deluxe hotel. The combination of woods and the vibrant colors brings out its tranquility. 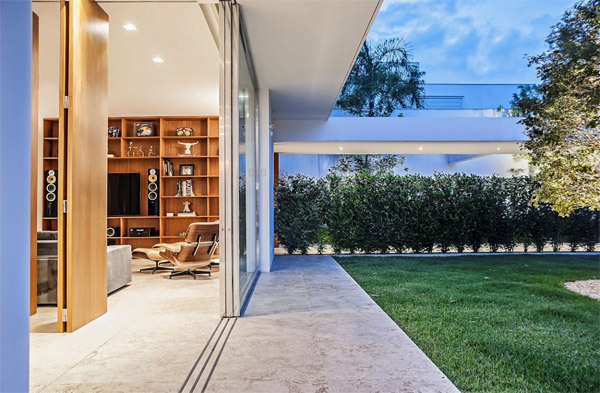 The living room and courtyard is distinctly separated by glasses and is closed by slatted wood to ensure greater privacy on the area. 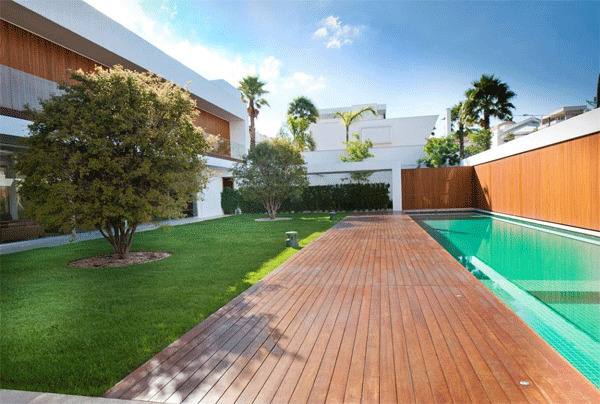 This wide area of courtyard is adorned with plants and green grass to maintain a sense of coolness. 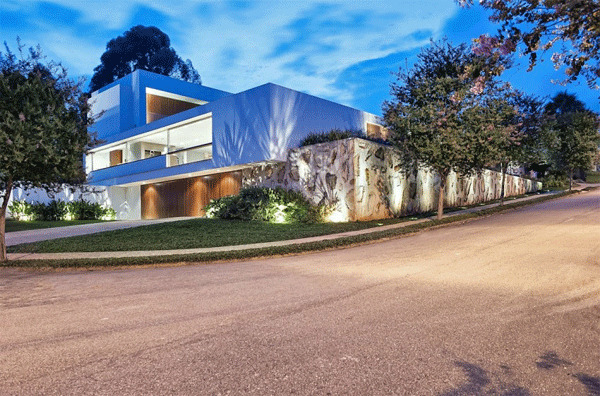 With a classy choice of lights on the exterior and interior it exposes the uniqueness of this design. Above the plateaued level is a block, a large rectangle, positioned close to the boundary wall of the allotment. It is positioned away from the street with open halls and open mezzanine to the ground which acts as a visual and acoustic barrier against the neighborhood, which is a school. 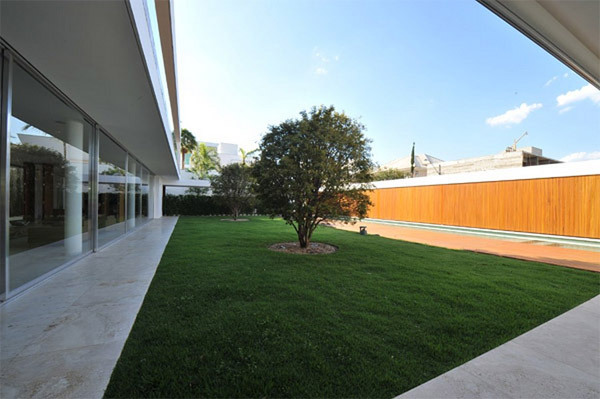 Marcelo Sodre has effectively defined and developed the sense of contemporary designs into a luxurious yet simple edifice. After taking a tour on this well-designed house, you may have this as inspiration for your personal taste of design for your future dream house.